Once again, I’ve been neglecting my blog majorly, BUT I have been working on a lot of up coming projects that’ll be making the next year, very very busy. For now, feast your eyes on 10,000 Miles of Crawling, my latest moving image piece. 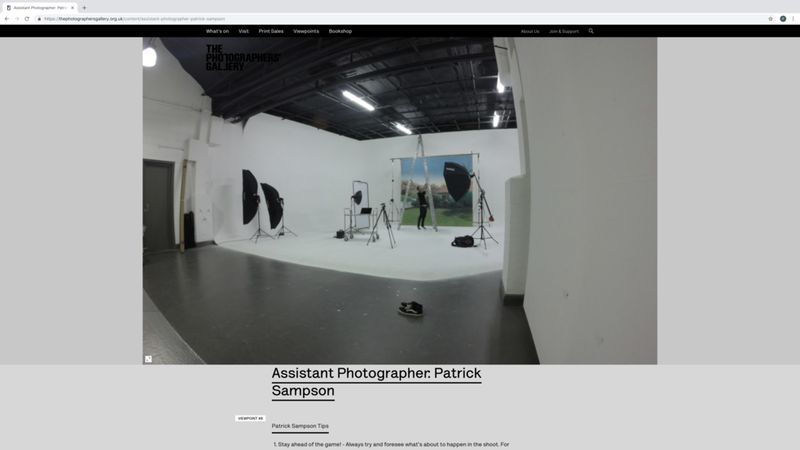 I recently delivered a talk at The Photographers Gallery, London, as part of their DEVELOP scheme, which aims to give young people an idea of which direction to head in when approaching with the photography industry. Coming from an Assistant, the talk seems to get a great reaction as my position creates a bridge between the Student and the established Photographer. Thanks to Lottie Davies, Jolie Hockings and everyone who turned up and asked questions. Until next time! I've been a little quiet on my blog of late but have been out and about amassing a tonne of images to put up so keep them peeled! Here is a shot of my telescope from this time last week in the New Forest. In the very early hours of my 32nd birthday, I saw Saturn for the first time. I've been sitting on this project for a short while but I'm really please to announce the release of Union No1 by the award winning British composer Liam Paton. Liam approached me a few months ago asking to use some of my images for the cover of his first album. I've always wanted to have my work used for music releases and as Liam's music is so beautiful, I was happy to jump on board. I love the design of the cover and think the photograph works perfectly placed. I'm looking forward to working with more musicians in the future! When you remember the Flickr password you haven't logged into in years! There's some gems to come! Ben Footitt, Polejam Wallride, Flo Skatepark.